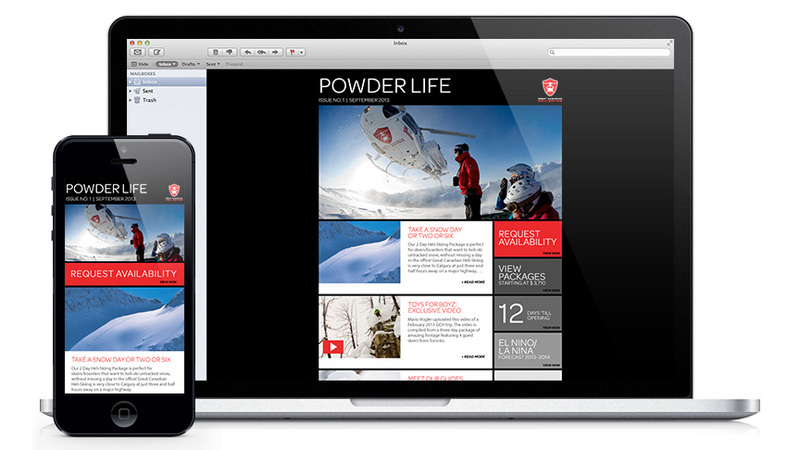 Working with Massif Creative Inc. and the direct marketing team at Traction on Demand, I assisted in the design and implementation of an email template targeting the niche market of heli-skiing enthusiasts. The brief was to create a versatile email template within the existing GCH brand. The design was created to accommodate a variety of content ranging from featured articles and package details to video diaries and customer surveys. The email template was designed to be responsive for both desktop and mobile viewing.